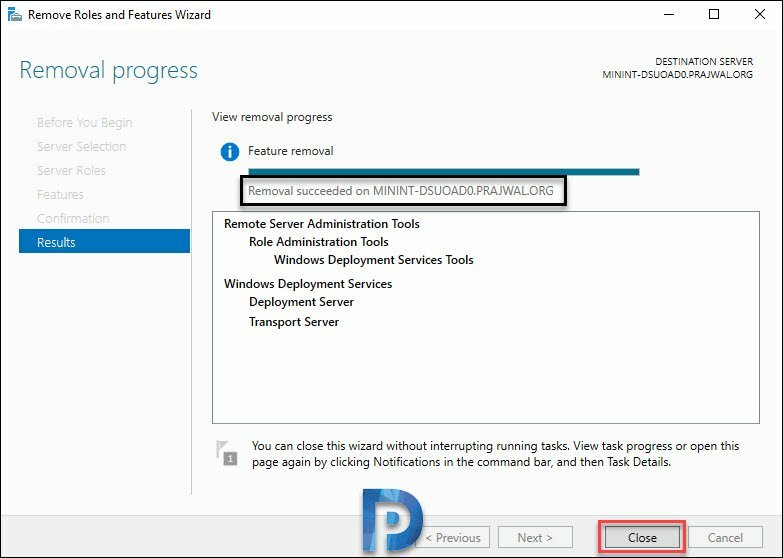 In this post I will show you how to remove or uninstall Windows Deployment Services role. 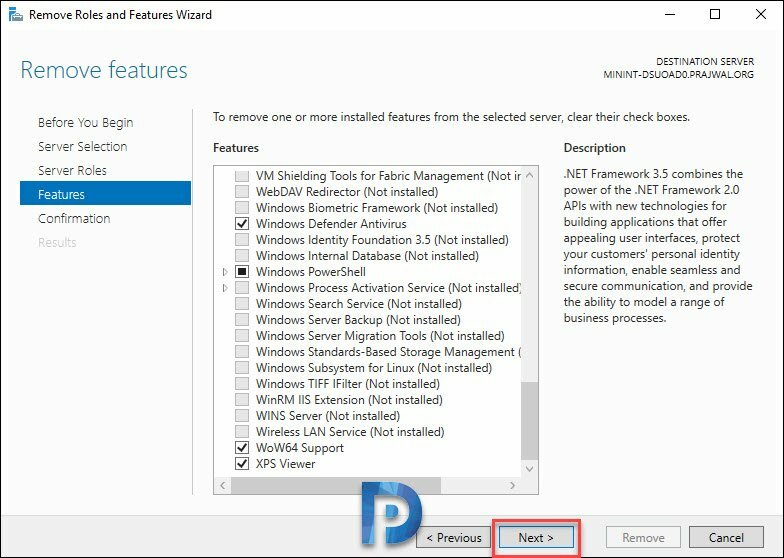 I will also cover what is WDS and how to remove WDS role using PowerShell from Windows Server. If you want to image or deploy Windows OS to machines, Windows Deployment Services is the best choice. WDS is a server role and it is not installed or enabled when you first install server operating system. As per definition “Windows Deployment Services is a technology from Microsoft for network-based installation of Windows operating systems. In windows server 2003 it was called as Remote Installation Services (RIS)“. The sole purpose of WDS is to remotely deploy windows operating systems. As a Configuration Manager admin, you might know that SCCM installs WDS when you enable PXE on a distribution point. However that was true with SCCM version 1802 and prior because WDS was required for PXE deployments. Furthermore, starting with Configuration Manager version 1806, you can enable PXE on a distribution point without WDS. Let’s get back to the topic. Windows Deployment Services offers lot of advantages when installed. When you install the WDS, you can set up new computers through a network-based installation. This means the local IT guy need not be present at each computer. This also solves the need of carrying physical media such as DVD to image the machines. So what is the need to remove Windows deployment services role ?. Sometimes you might see lot of WDS errors in event viewer. You might want to analyze each error and probably fix all of them. But you don’t have enough time to do so. Instead of fixing all those errors, you could simply remove WDS role and install it back. On the WDS server, login with an Administrator account. Click Start and launch Server Manager. On server manager dashboard, click Manage > Remove Roles and Features. Select the destination server (which is usually the WDS server) and click Next. On the Server Roles page, scroll down and uncheck Windows Deployment Services. You will now be asked if you want to remove management tools or leave them installed on server. 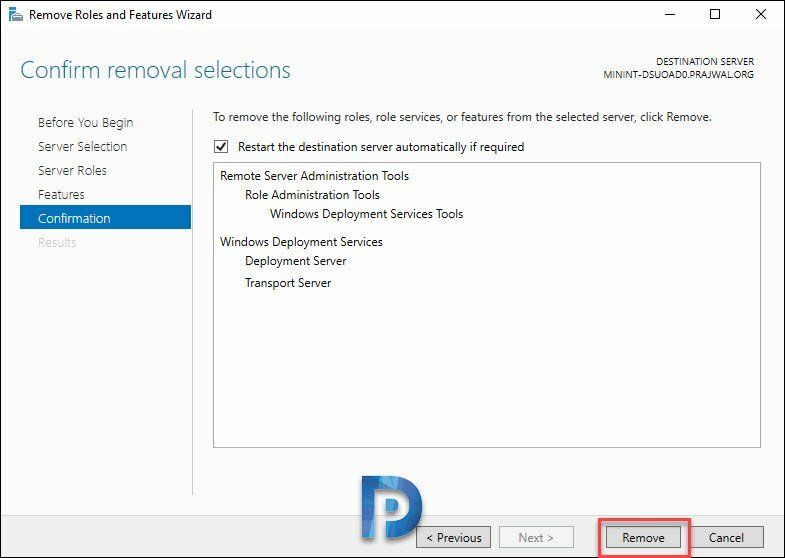 Click Remove Features as we want to completely remove WDS from the server. Nothing to select on Features page. Click Next. On the Confirmation page, click Remove. You can also check the box “Restart the destination server automatically if required“. 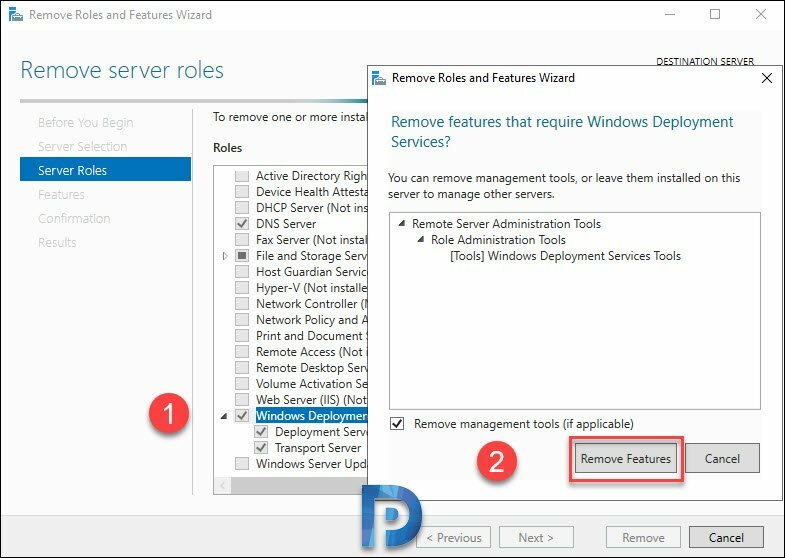 With this option enabled, if the role uninstall requires a restart, the server will be restarted automatically. Wait for few minutes while the role uninstalls. Finally you see a message “Removal succeeded on server“. Close the wizard. The WDS role is now uninstalled on the server. I recommend a server reboot post uninstalling WDS role. If you are looking for a easy way to remove WDS using PowerShell, then the below commands will help you. First of all, find if WDS role is installed. Use the command Get-WindowsFeature. You may restart the server once you uninstall WDS.